We were very pleased with how Wales Week in New England 2019 went and we are already looking forward to a bigger and better Wales Week in New England 2020! Until the plans for 2020 become crystalized we welcome you to see below what was included in Wales Week in New England 2019. Following a successful WALES WEEK IN LONDON, the founders announced Wales Week Worldwide; a call went out across the globe to Welsh Societies and organisations, asking them to host their own weeks in order to promote Wales’ culture and industry to an international audience. The Welsh Society of Western New England took on that challenge and Wales Week in New England was born. Other cities also heeding the call are New York, Washington, New Mexico, Los Angeles as well as Ottawa, Canada and Paris, France. It’s actually a two week period (February 23- March 9 in 2019) surrounding the National Day of Wales (St. David’s Day) on March 1st. The Six Nations Championship is an annual international rugby union competition between the teams of Wales, England, France, Ireland, Italy and Scotland. A number of WSWNE members got together to watch THE BIG ONE (Wales v. England). Dinner was at 12:30 p.m. in the Fair Haven Inn, Fair Haven, Vermont. 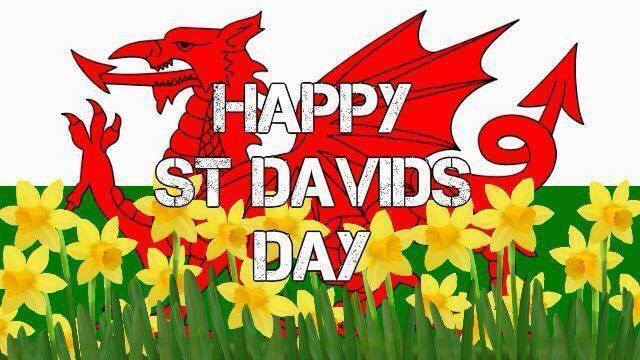 1) most Welsh colors (red + green + white; or 2) largest red dragon; or 3) most symbols of Wales, i.e., leek, daffodils, Welsh flag, lady’s Welsh hat, sheep, rugby, love spoon, coal/slate, ostrich feathers, singers, harpist, corgi, etc. etc. etc. See POULTNEY AREA ST. DAVID’S SOCIETY Facebook Page. The Rhode Island Welsh Society (Facebook Page, Website) celebrated St. David’s Day and Wales Week in 2019 with a potluck dinner at a member’s home. For further details about the 2019 event, please contact them at britstitchery@gmail.com. Included were two members in traditional Welsh National costume and a video message from the First Minister of Wales. Program: Diane Owen, Vice President of the Washington DC Welsh Society, spoke on "Becoming a Welsh Speaker in America". See the full talk under “Online Resources for Learning Welsh” on our Learn Welsh Page. In honor of Wales Week New England, February 23 to March 9, Joe’s Fine Wine and Spirits of 149 North Road, East Windsor, CT, donated a 750 ml bottle of Penderyn Distillery’s Aur Cymru, single malt Welsh Whisky to the Welsh Society of Western New England for their March 2nd St. David’s Day Luncheon where it will became a very special door prize. 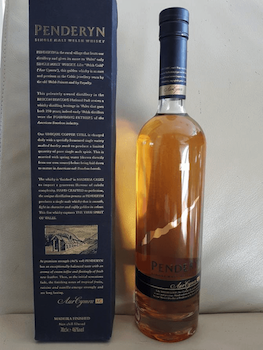 Penderyn is the Welsh rural village that hosts the distillery and gives its name to Wales’ only Single Malt Whisky. Like “Welsh Gold” (Aur Cymru), this golden whisky is as rare and precious as the Celtic jewelry worn by the old Welsh Princes and by Royalty. This privately owned distillery in the Brecon Beacons National Park revives a whisky distilling heritage in Wales that goes back 250 years, indeed early Welsh distilleries were the founding fathers of the American Bourbon industry. Thank you Leslie Hickey for this tip of the hat to your Celtic neighbors and your very generous gift. The church, at 150 Main St., proudly bears the name of the 6th century patron saint of Wales, recognized by several traditional denominations. A native of Wales, he was responsible for the care of the Welsh Church as its Archbishop. The March 1st date of his death in 589 became celebrated as his feast day. For more information on St. David’s Anglican Church contact its pastor, Rev. Mr. James Hogan at 802-265-2206. A number of WSWNE members got together to watch Scotland v. Wales. Our Genealogy Workshop meets monthly to learn how to research Welsh roots. On Mar. 9, 2019 it met from 11:00am - 5:00pm, following the rugby match. Come visit UK Gourmet and discover a shop bursting with Welsh delicacies and gifts. During Wales Week 2019 they gave folks visiting their store the opportunity to win a gift basket worth $200 brimming with all things Welsh. Want to taste something Welsh? Check their website at UKGourmet.us and Facebook page. During Wales Week 2019 they even had daily updates of what Welsh morsels they would be tasting each day. Try one of the 14 different cheeses they carry from Wales, like Snowdonia’s Ruby Mist, a select mature and creamy cheddar laced with a Ruby Port. Or perhaps you would like a taste of Red Dragon, an amazingly creamy cheese blended with a Welsh brown ale and whole mustard seed. Want to try Glengetti Welsh black tea with a McVities Chocolate Digestives? Then you will want to stay updated by visiting their website and signing up for their mailing list at www.UKG.Life. Once you visit them you’ll see why everyone says they are worth the trip and you will be amazed at their selection. It’s simply smashing. Gadewch i'r ddraig arwain y ffordd (Let the dragon lead the way). Helen Coates of South Wales’ Welsh Cake Company has mixes and Welsh Cakes ready to ship to you at CopperKettleBakery.com! Welsh Cakes are a traditional breakfast food and tea-time snack from Wales. They combine the very best elements of a scone and a biscuit, but they're cooked on a griddle like a pancake. They are made in small batches to preserve the integrity of the cake. If you want your kitchen to have an aroma of the holidays all year around then Welsh Cake Mix is perfect for you. For Feb. 23 - Mar. 9, 2019 the bakery provided the chance to win a gift basket of Welsh goodies from Copper Kettle Bakery, valued at $175 just for sharing their Facebook page (https://www.facebook.com/CopperKettleBakery/). The winner was chosen on March 10 2019. For the those Wales Week dates in 2019, The Copper Kettle also offered both free shipping and a free Welsh Cake Mix to those ordering $30 or more of Welsh Cakes or Welsh Cake mixes.